The Angel Hotel | Pub Quizzers | Find a pub quiz near you, now. 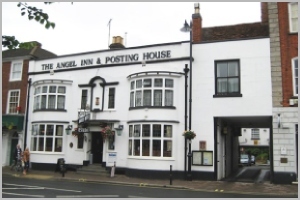 Pub quizzes take place at The Angel Hotel, Worcestershire on Sundays (monthly) at 19:30. Entry is £3.00, you can have up to 6 people on a team. There are prizes of cash, spot prizes. Happy quizzing! A monthly charity quiz night held on the first Sunday of the month. Raising money for local good causes, including the Royal British Legion, the Pershore Rotary Club and the Pershore Round Table.